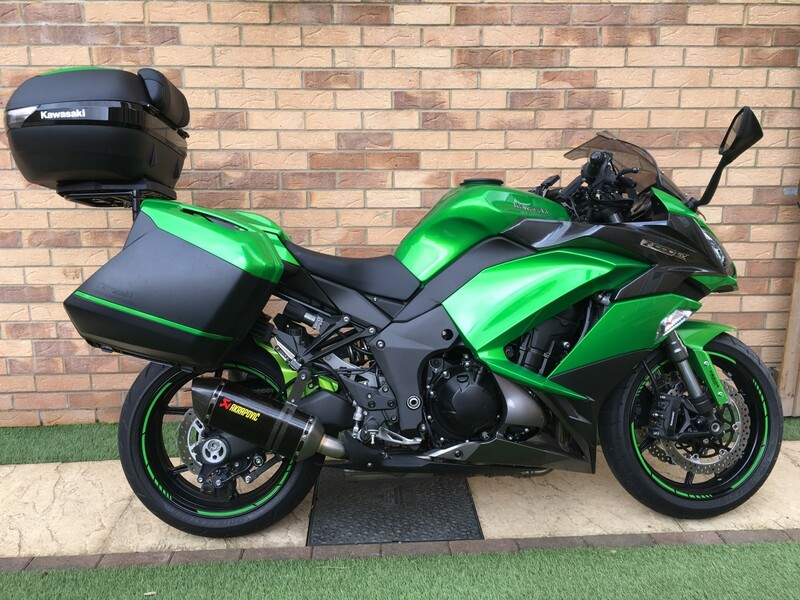 Full side panniers with inner bags. 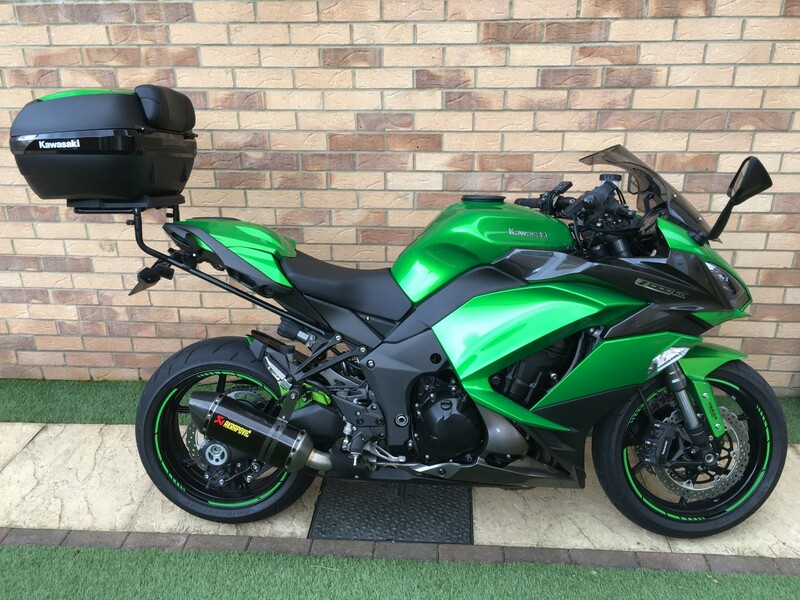 Full size colour coded Givi 47l top box and passenger cushion pad all with matching keys fitted on Ventura sports rack which has been absolutely solid. Wonderful condition bike bought for European Tours but now bought a house in France hence will not be used as much and looking at a Modern Classic instead. 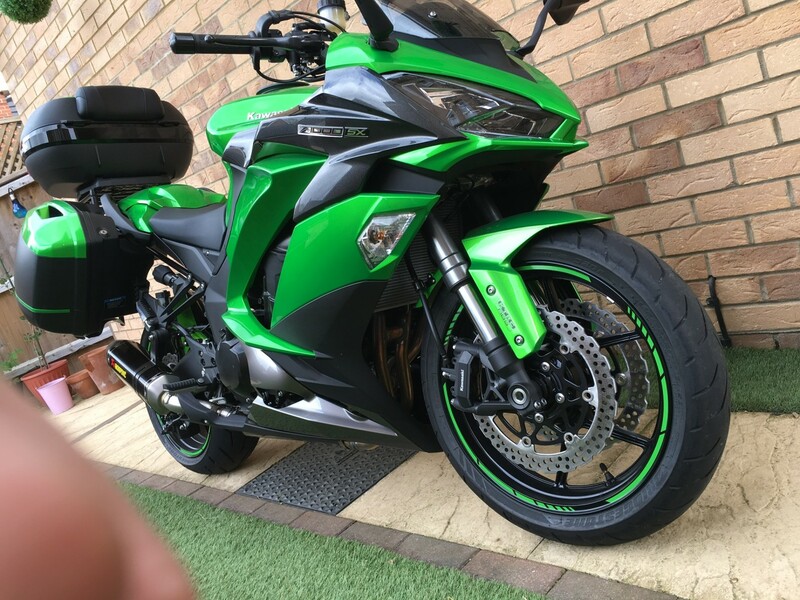 Bought from Chris Walker Kawasaki in February 2017 – Had the 2 required services by them – Recently fitted Metzeler RoadTec Tyres at last service. 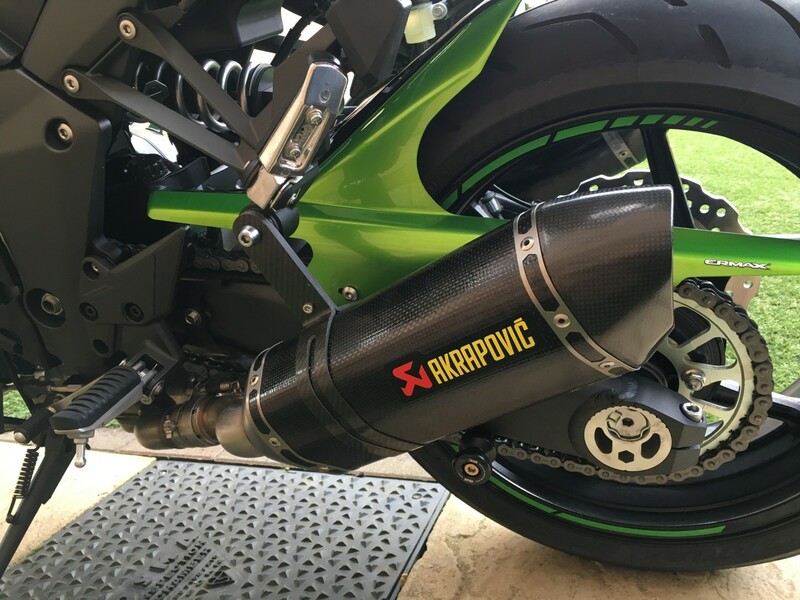 2017 SX Green Performance Tourer - Powerbronze tail tidy - Colour coded hugger - Oxford heated grips - Strange loss of front fender reflectors!! Damn that's a lot of bike for the money! Good luck with the sale. That really is a very good deal with all those extras, best of luck with sale. Always sad when a SX gets sold. I could be interested. Just trying to sell my KTM GT which is in a dealers. I'd have to fly into Luton to pick it up though. PM me your number. Not surprised. I'm not in a position to do anything before Friday. Keep us updated! Hi, yes it sold last weekend 1st person bought it. Thanks for the reply. The Thruxton is a beautiful bike, did you go for the R model? Enjoy!